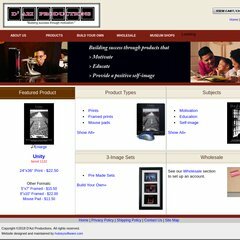 Topics: Prints, Framed Prints, Frame Sets, Horizontal Prints, and Vertical Prints. It has 3 DNS records, ns1.dreamhost.com, ns2.dreamhost.com, and ns3.dreamhost.com. Its local IP address is 173.236.137.16. It is hosted by New Dream Network Llc (California, Brea,) using Apache web server. PING www. (173.236.137.16) 56(84) bytes of data. A ping to the server is timed at 42.5 ms.